The final dress rehearsal for Qatar’s historic night race will be run between 5pm and midnight. A two-day International Race Teams Association test session on February 28 and 29, 2008 will take place exclusively at night under floodlights. 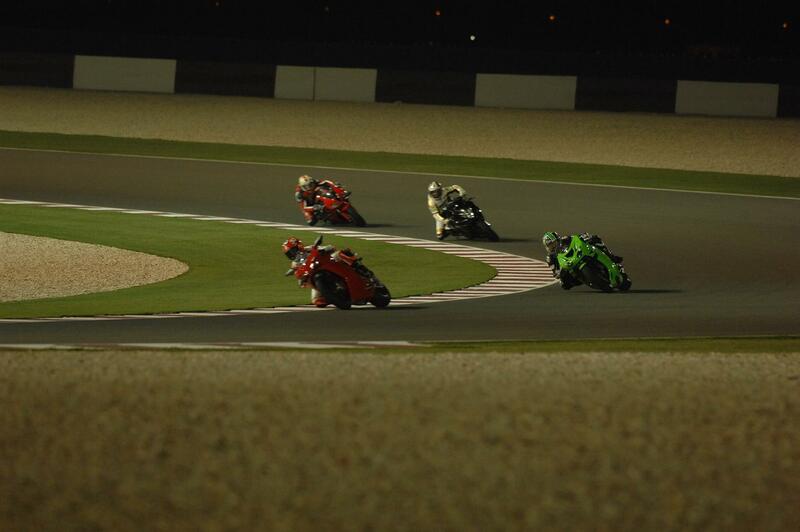 The track will be open for seven hours from 5pm to midnight, as the entire MotoGP field tests under floodlights for the first time together, before the Losail International Circuit hosts the first round of the 2008 world championship on March 9, 2008. Tech 3 Yamaha’s James Toseland and Rizla Suzuki’s Loris Capirossi recently tested under floodlights at the first three corners and gave the plan the green light. The race will be the first MotoGP clash to be run at night, with the MotoGP race starting at 11pm.